MIAMI -- A rare January hurricane formed far out in the Atlantic on Thursday, and U.S. officials said it was the first hurricane to form in the month of January since 1938. Hurricane Alex's maximum sustained winds were near 85 mph (140 kph). A hurricane warning was issued for Portugal's mid-Atlantic Azores Islands, where the Civil Protection Service issued a weather red alert, the highest of four warnings that indicates extreme risk, for five of the archipelago's nine islands. It said residents should expect waves up to 18 meters (60 feet) high and wind gusts up to 160 kph (100 mph). The U.S. National Hurricane Center in Miami said in a Facebook post that there hasn't been a hurricane present during the month of January since 1955, when Alice formed in late December 1954 and carried over into the next month. 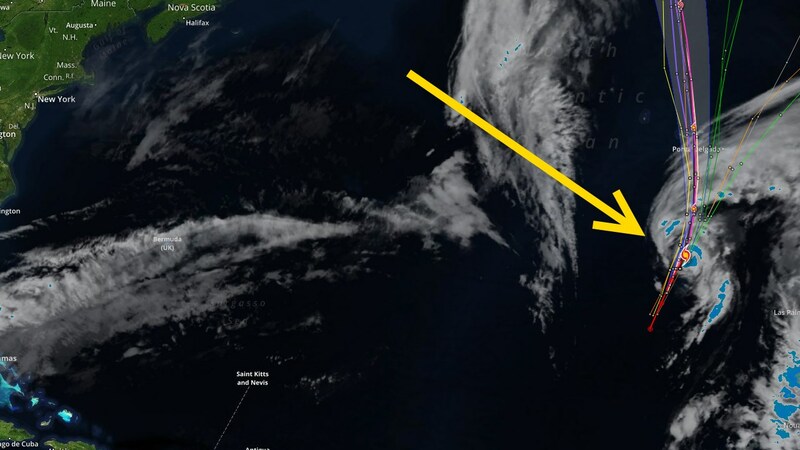 The hurricane was centered about 415 miles (670 kilometers) south of Faial Island in the central Azores and was moving north-northeast near 20 mph (31 kph). Alex was expected to move near or over parts of the Azores on Friday, the U.S. National Hurricane Center said. The Azores government on Thursday advised kindergartens to stay closed and told residents to ensure drainage systems aren't blocked. However, Alex's formation has nothing to do with El Nino, according to NOAA Climate Prediction Center deputy director Mike Halpert. NOAA researcher Jim Kossin said the water Alex formed in was about 3 to 4 degrees Fahrenheit warmer than normal, still barely warm enough for a storm to form.